Making the correct food choices for your baby during the first year of their life is very important. Baby’s will grow the most during the first year of life than at any other time in their life. It’s very important to feed your baby with a variety of good and healthy foods at the appropriate time. It’s important to start good eating habits at an early age to ensure healthy eating habits for the rest of their life. 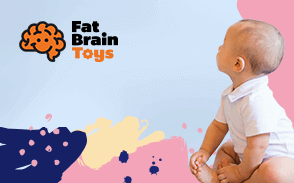 Your child will actually create all his or her fat cells during the time of infancy. If you decide to push the fact of solid foods too early into their diet, this is where overeating and obesity can come into the picture. This will lead into adulthood and no matter how hard you see people trying to lose fat in certain areas, those pockets are there for life. A study was recently done on how and why people are built so differently. This all has been predetermined from what a parent feeds their child from birth. Some cultures hand these feeding practices down for generations and that’s why some people have to work harder than others to lose weight in the areas that won’t budge. “The American Academy of Pediatrics” recommends that all kids take the right amount of vitamin D using supplements, formula, or cow’s milk to prevent deficiency. The minimum recommended intake should be four hundred units a day as soon as the baby is born. Your pediatrician can also give you a supplement if you feel your child is not getting enough vitamin D. The sun is a good source of vitamin D and in areas where there is a shortage of sunlight in the winter, it is important to make sure that your child is getting enough vitamin D in their daily diet to prevent certain illnesses. When you choose to start your child on solid foods, make sure you only introduce new foods one at a time. Don’t mix different types of food together. Pause for a few days before adding another new food. This is a good way to see which food your baby likes and also see if your baby has any allergies to a new food. The right way to start is with using little spoons, and as try to increase the dose every day until you get to a big spoon. Choose a dry infant cereal, rice preferably is suggested by all pediatricians. Read the directions and after your baby has tolerated the rice for a few days, introduce the fruit and vegetables the same way but only one at a time. Don’t use sugar and salt if you decide to make homemade baby food and don’t use food from cans. Canned food usually has sodium and sugar that are not a good choice for the baby. When using fruit and veggies, remember to wash and peel them and always look for seeds. Take special care of foods that are grown close to the ground because of the spores that could cause food poisoning. Use infant cereal until your child is around 1 year old and don’t add cow’s milk to the diet until your baby is a year old. Cow’s milk doesn’t have the necessary nutrients your baby needs during their first year of life. The AAP recommends that you should not allow fruit juice until they are over 6 months old. Use only 100% natural juice without added sugar and don’t exceed 4 to 6 ounces a day with older infants. Always use a spoon because this is how your baby learns to try to eat and use their tongues to swallow the food. If you see your baby is having trouble with a spoon swallowing, maybe your infant isn’t ready yet. You can always try again in a week. Never use a baby feeder for solid foods because only formula and water should be added into their bottle. Honey is also not recommended for the first year of the baby’s life because it can lead to food poisoning. Never prop a bottle because this has been known to cause an increase in infections of the ears. When the baby gets their teeth, propping bottles can cause tooth decay earlier because of the sugar settling in on their teeth. A hazard for choking exists, so no matter what, never prop your infant’s bottle. Try to get your baby to stop using their bottle by the time they turn one. If there is a little frustration with your child giving up their bottle, don’t push it, they will get the picture sooner or later. Try to let your baby eat as much food as he wants at feeding time. Forcing children to eat and taking meals away when they are hungry just isn’t fair to your child. They might not be hungry at that moment and you don’t know if they are growing again, because eventually, they will start eating like a horse again to catch up to their height. Save foods like nuts, hard candy, popcorn, raw vegetables, grapes, and peanut butter until your child is about three years old. 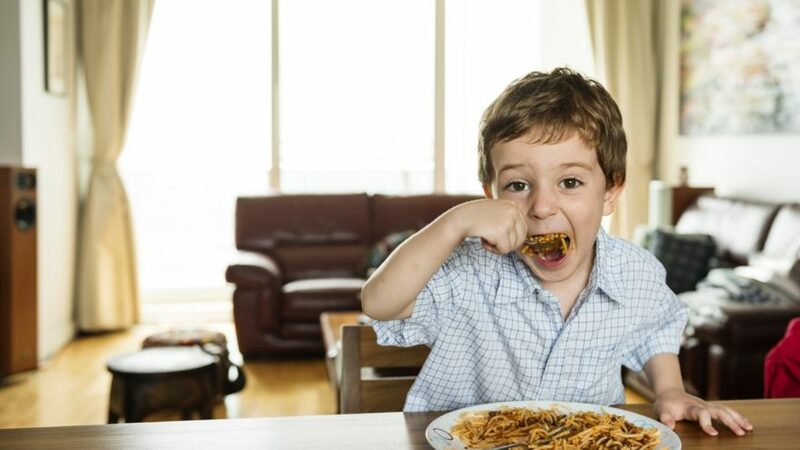 Always watch your child eat and insist that they do not stand up while eating and drinking. This saves a possible choking situation which could be quite hazardous. Healthy infants don’t usually need much water except in extremely hot weather. Infants get their water supply by introducing solid foods. Water poisoning can occur with newborns and infants so be careful with the amount of water you use. Don’t introduce the types of food that you only like to your infant. Try to introduce them to different food types so they may develop great eating habits as they grow. Most pediatricians don’t advise you to watch fats and cholesterol in very young children. The doctor will let you know if you should start watching these types of issues. Kids need way more calories than we do, including fats and cholesterol for a healthy development. We live in a busy world and parents can use different approaches to encourage healthy eating habits. Don’t dictate meals but help guide your family into healthy eating habits. Encourage your children to eat slowly and chew all their food. This pertains to adults as well because chewing slowly and eating slowly keeps everyone full for longer periods of time. Eat meals together as often as you can and plan meals together as well. Get the whole family involved including going to the grocery store, food shopping and preparing meals together. This can be your special time together as a family to build good memories.